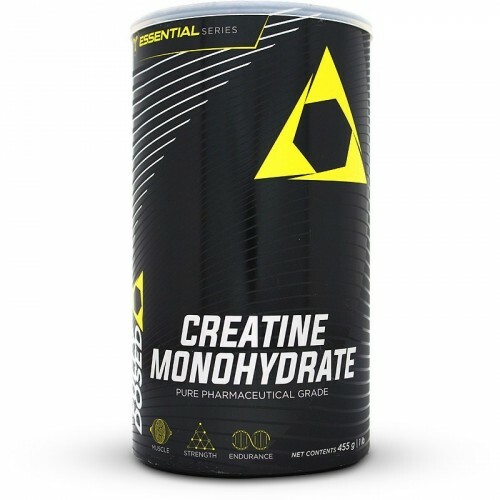 Fully Dosed Creatine Monohydrate is used by athletes to increase strength and improve muscle recovery. Athletes and body builders have been using creatine for almost 30 years to support their weight lifting efforts. Being able to increase strength and lifts in the gym causes muscle fibres to grow. Creatine is regarded as the most effective sports supplement ever discovered. Scientific support and real world evidence has quickly led creatine to become the most popular sports performance product. Athletes who do weight training benefit the most from taking creatine. Studies have shown an increase in strength and explosive force while supplementing with creatine. Responsible in energy production, creatine improves recovery between lifting sets and workouts in general. Each tub provides 91 servings of pure pharmaceutical grade micronised creatine. Taken has directed the product should last for 2 months. At the time of this review, this is one of the cheapest creatine products on the market. A serving costs R1.20. Fully Dosed Creatine Monohydrate is a cheap and scientifically proven effective supplement to increase strength and lean muscle. Nutrient reference values (NRVs) for individuals 4 years and older. Pure Pharmaceutical Grade Micronised Creatine Monohydrate Powder. This product is made in a facility that uses tree nuts, peanuts, soya, wheat (gluten), eggs, milk. • Dissolve one rounded teaspoon (approx 5 grams) in 250 to 300 ml of a suitable carbohydrate drink or grape juice. • For loading: Take two to four servings daily, for 5 consecutive days. • After loading: Maintain supplementation by taking one to two servings (5 to 10 grams) daily. • The most important dose being immediately after training, ideally mixed into a carbohydrate-rich recovery drink. • To maximise creatine’s “bodybuilding” benefits, consume extra water every day and increase your daily protein intake by way of a high quality pure protein supplement. If you taking an medications, consult your doctor before use. Seek advice from a health care professional before use if you have any pre-existing medical condition. Not to be taken by pregnant or lactating women. Discontinue use and consult your doctor if any adverse reactions occur. It is important to check with your health care practitioner before beginning and diet and exercise program and to discuss the supplements and medications you take with your health care provider. Have been using this product for the past two months and I can say it one of the best that I've used.